Dramatic Play :: Educational Insights, Inc. 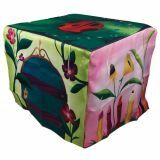 Catalog Home > Dramatic Play > Educational Insights, Inc.
Drape this fairy tale-themed fort over any standard-sized card table to make a secret space that's all your own! 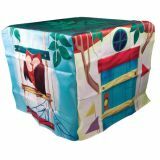 Drape this treehouse-themed fort over any standard-sized card table to make a secret space that's all your own!